All of a sudden the beauty aisle has been flooded with creams, gels, mousses, and sprays to help you get the perfect air-dry. It's like hair-care companies finally caught on that we want to “love our natural texture” but we're also lazy or busy or both. If you are getting tired of blowouts, curling wands, and clip-ins, then get ready to enjoy the golden age of lazy-girl style. The beauty of the air-dry is the time it saves. But let’s get real: Getting a great air-dry takes so much more than putting in product and running out the door (oh, you though it was going to be that easy? Sike!). It’s all about the technique. Whether you have waves, ringlets, or coils, you can live the low-maintenance hair life without looking like you just rolled out of bed. You just have to lock down your routine and find the right air-dry friendly products for your hair type. We spoke to Devachan stylist Taylor Tugman to get her professional tips for the perfect air-dry on three different hair types. Women who have wavy or almost-wavy hair often feel chained to a lifestyle of daily straightening. But breaking out of that rut can not only save you a lot of time, it can also protect your natural waves from heat damage. With loose waves the strategy is to coax and encourage the natural bend you already have into a full-on bounce. After shampooing and conditioning, detangle your hair in the shower. Use your hands; skip the comb. “Finger detangling allows the waves to clump together, while using a fine-tooth comb or brush will break them apart and you’ll end up with stringy waves,” says Tugman. Using a comb can also stretch your natural texture, which can leave your waves looking limp. While your hair is still soaking wet, scrunch in an air-dry cream, which helps to define your natural curl pattern and minimize frizz. For a more natural wave, try Devacurl Wave Maker Touchable Texture Whip ($26). If you want more hold and definition, use a mousse like L’Oreal Air Dry It Ruffled Body Mousse ($5). You can do a mix of both if you want soft waves with a longer-lasting hold. Resist the urge to towel dry first. The water leftover from your shower will help distribute the product and dilutes it a bit, so it doesn't get crunchy as it dries. Once the product is in place, Tugman recommends the plopping method. (We know it sounds strange. Go with it.) Lay a microfiber towel or T-shirt out on a flat surface, like your bed or couch. Lean over and place the ends of your hair in the center of the towel. 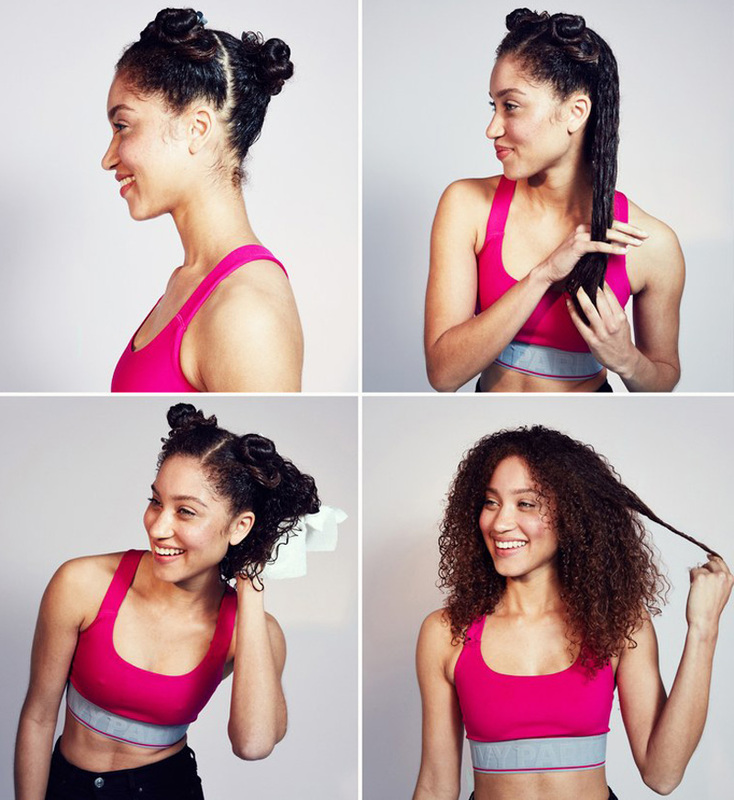 Use your hands to accordion your curls so that they scrunch up like a Slinky. Then wrap your hair up into the towel by twisting and knotting the fabric. Tugman explains that the plop helps to take out the extra moisture from your hair, while helping to set the waves. 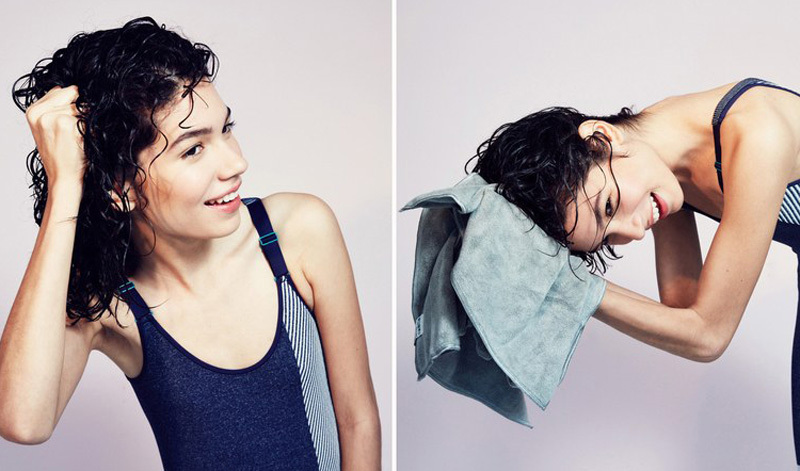 (Rubbing or even squeezing your hair with a towel—especially a regular terrycloth bath towel—can create major frizz.) Continue to get dressed and apply makeup, leaving the towel in place. You can also leave the towel on overnight. Once you remove the towel, your hair will still be a little damp. 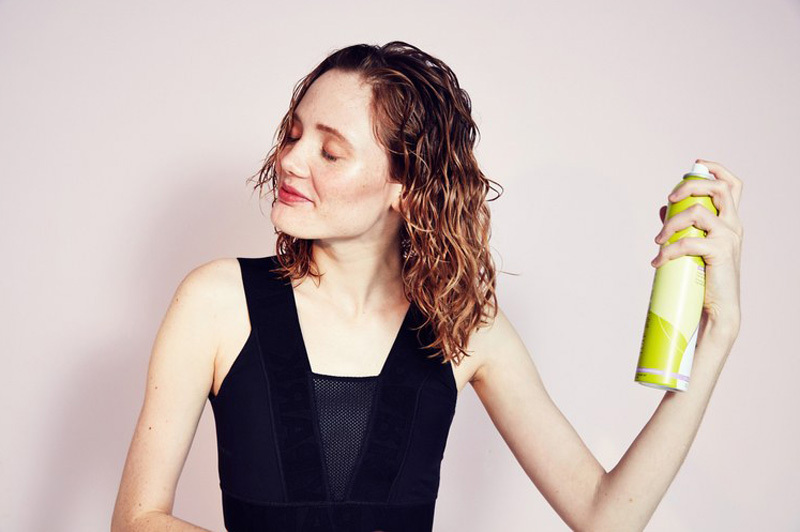 Finish it off by applying hairspray like Devacurl Flexible Hold Hairspray ($25) just before you run out the door to speed up the drying time. Finding the right product combination to get bouncing ringlets without using a diffuser or a curling wand is the ultimate dream. Usually, air-drying can leave curls looking frizzy or crunchy. 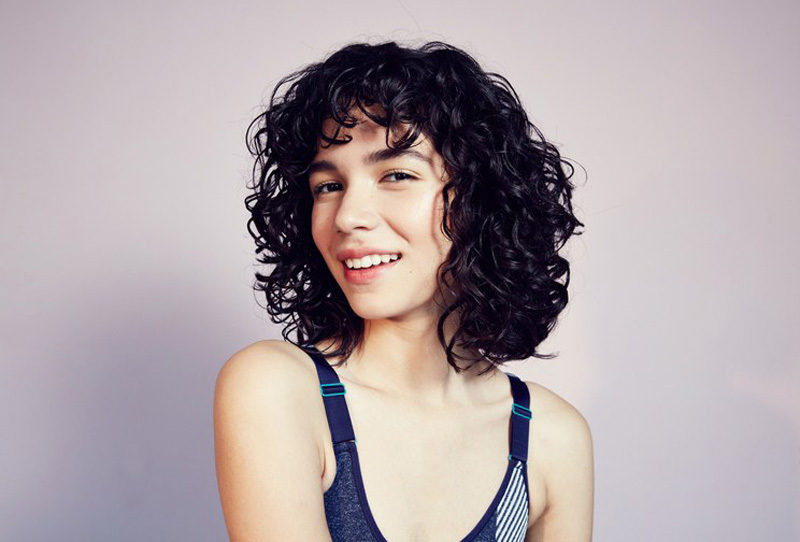 The goal: Natural curls that don’t frizz up or feel stiff. Cleanse hair with a sulfate-free shampoo (which won't strip natural oils from the hair, giving a gentler cleanse), use a light conditioner, and finger detangle. The key to this application is the scrunch technique. Rub the product between your palms, cup your curls, and squeeze up towards your scalp (almost as if you’re squeezing a stress ball). This helps the curls clump together and encourages definition. Repeat the scrunching process with a microfiber towel to take out any excess water. Next, lift your curls and slide metal clips in along the scalp; lift up before clamping them closed. This will help you get more volume, and it also helps the hair dry a bit faster. Shrinkage. When a wash-and-go goes wrong, super-curly hair can shrivel up to half its length (ugh). Not to mention it can take HOURS to dry without the help of a blowdryer. The secret to flawless kinks and coils without twisting or braiding? Moisture and patience. First, Tugman stresses that a moisturizing shampoo and conditioner are key for this curl type. Finger detangle your hair when it’s saturated with conditioner. In fact, she says you can leave a bit of conditioner in the hair for styling. This helps to cut down on frizz during the air-dry process. Before applying your styler, section the hair into four quadrants and twist away each section, securing with a clip. This will help make sure each coil gets covered in product. Work through one section of hair at a time, starting at the back. Apply a styling gel like SuperCream Coconut Curl Styler to bring out the existing definition, then top it with a holding gel like the Light Defining Gel to seal that in, creating frizz protection. “With super curly hair, you can use more tension when working in product,” says Tugman. “You don’t have to create definition—it’s already there.” If you want to stretch your curls, use your fingers like a wide-tooth comb and rake the product through from root to ends while hair is still dripping wet. Use a paper towel to squeeze out the excess water. Paper towel absorbs a lot less water than a terrycloth or microfiber towel, and coily hair types need all the moisture they can get. Repeat the applying, raking, and blotting process on each section, working from back to front. Tugman says that coily hair dries fairly quickly on the exterior, but can still be wet near the scalp hours later. To speed up drying, use metal clips to lift hair at the root. This lets air get to the lower layers of hair. Of course, there’s always a wily curl that decides to frizz up (typically near the front around the hairline). Spritz a refresher spray like the Vernon François Pure-Fro Moisture Spray —a SELF Approved Beauty Award winner—in your hands. Then, twirl and stretch the curl to smooth it out. This is also a winning technique for refreshing second-day hair.